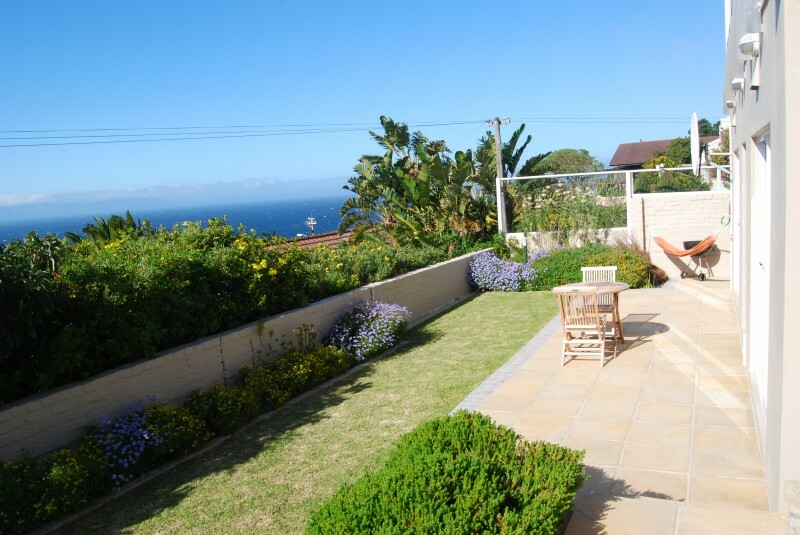 Located in Simon’s Town, Seagetaway Self Catering Accommodation offers a range of accommodation with sea and mountain views. All our accommodation features Free parking and Free Wi-Fi. 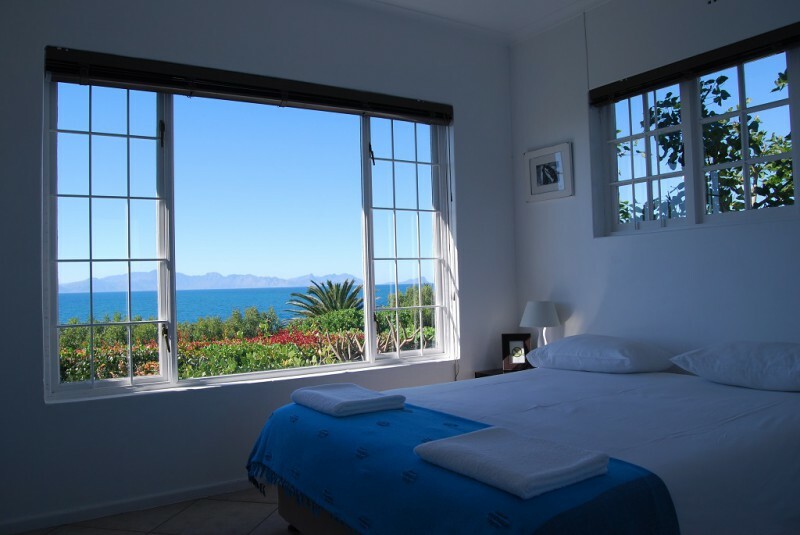 Waken to the sound of whales and watch them from the comfort of your bed (July to October). Take a five minute early morning walk to Fisherman's beach, watch the waves catch the early morning sun and enjoy the beauty of nature around you. Guests can prepare their meals in the privacy of their unit. Alternatively, there are several excellent restaurants and coffee shops for guests to choose from in Simon’s Town. Activities in the area include whale watching, kayaking, golf and penguin watching. 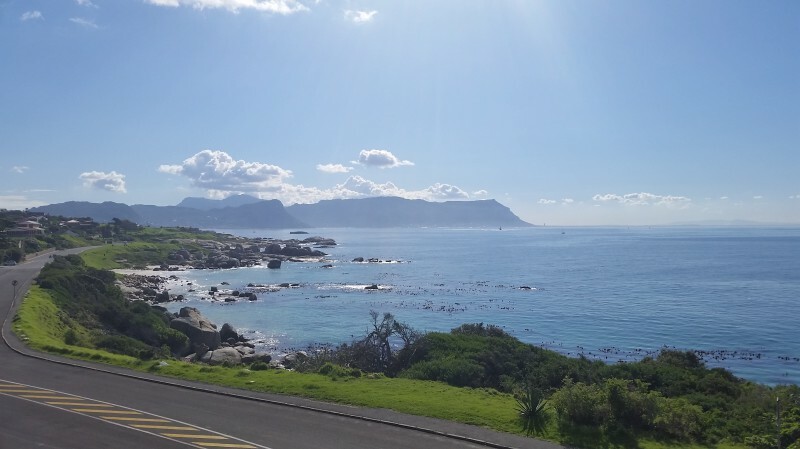 Boulders Beach is a 5-minute drive from the property. Seagetaway is located 46 km from Cape Town International Airport, 43 km from Cape Town and 8 km from Cape Point Nature Reserve. All linen and bath towels are provided. Please bring your own beach towels. Seagetaway Cottage - The bright 2 Bedroomed Cottage at Seagetaway sleeps 5 has spectacular sea views and features simple and colourful decoration. 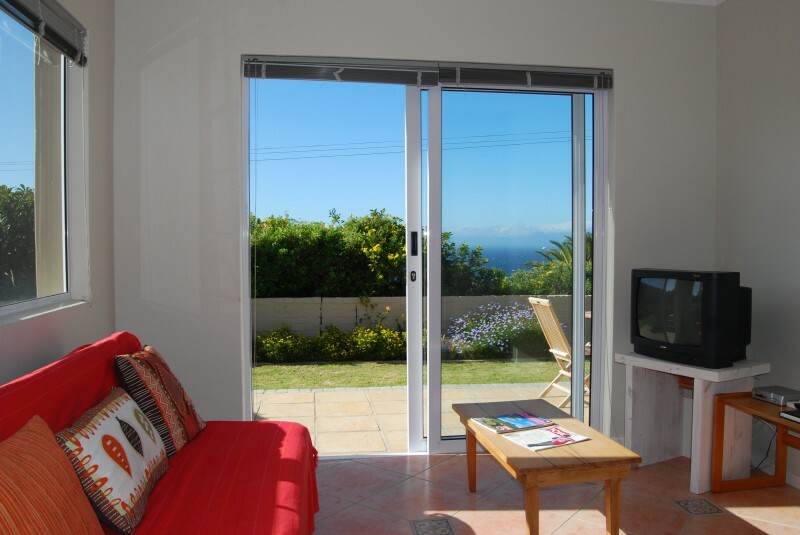 The cottage has a comfortable living area with two couches and panoramic sea views. There is Television, DVD and DSTV (Satellite TV) in the living area. 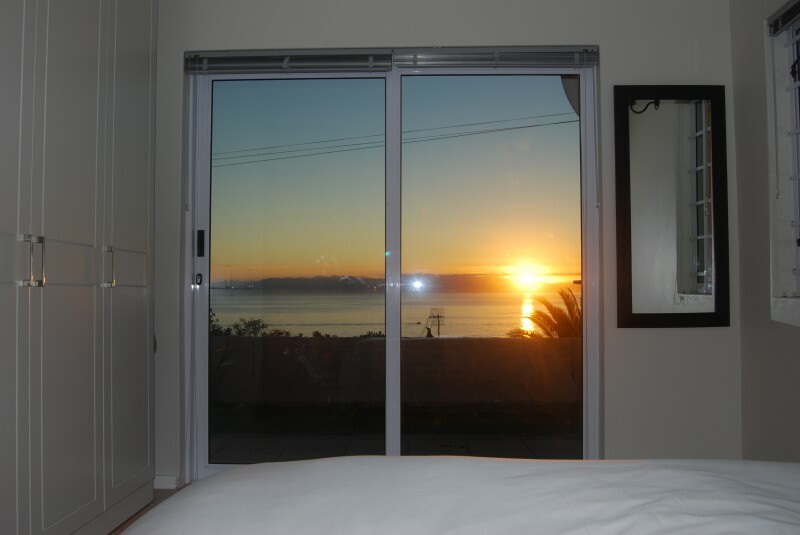 The main bedroom with magnificent views of the sea has a queen size bed and built in cupboards. 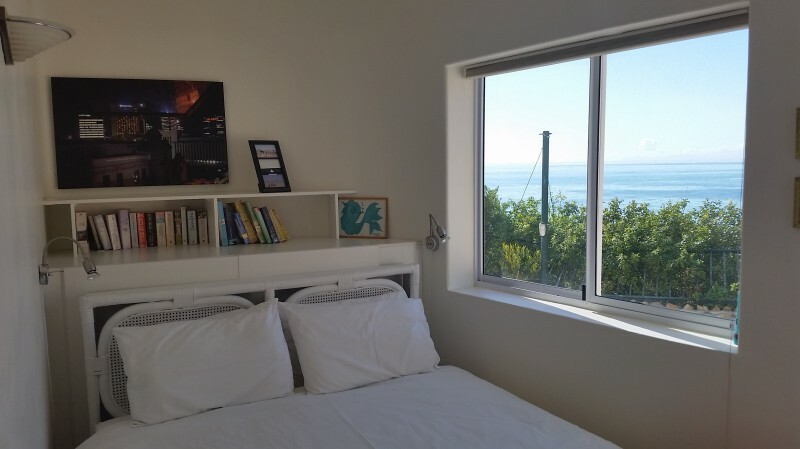 The second bedroom with magnificent views of the sea of the sea has two single beds and built in cupboards. There is a single bed available in the living area. All beds are fitted with percale linen. The modern kitchen opens onto the living area and has a granite breakfast counter with four comfortable bar stools. 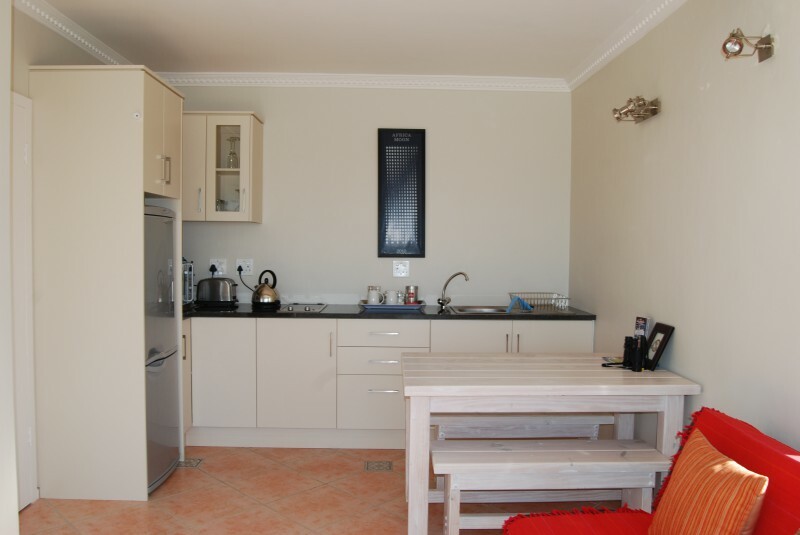 The fully equipped kitchen has a microwave, built in oven & hob, cooking utensils, crockery, cutlery & glasses. The living area opens up to the outside area with built in barbecue so you can enjoy a barbeque (braai) as you gaze across the bay. 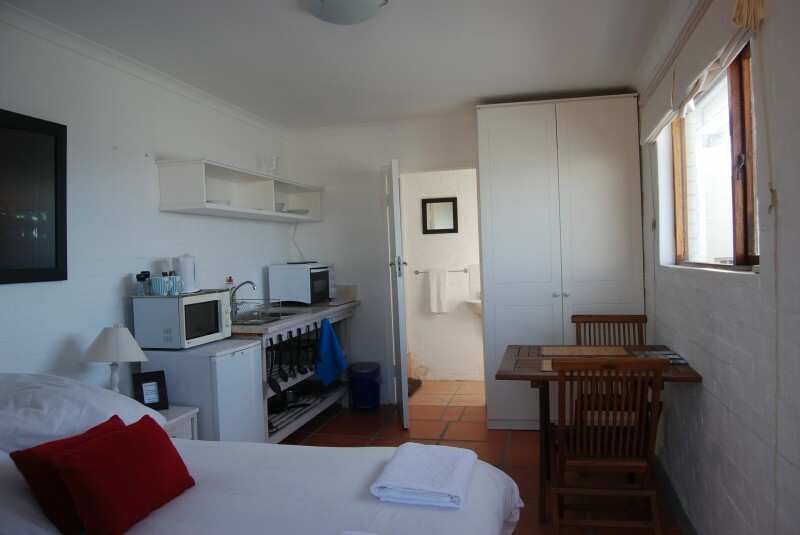 The cottage is tiled throughout and has a bathroom with a bath and shower. There is a separate guest’s toilet. The cottage has a private sheltered garden where you can tan in private. Guests are welcome to pick fresh herbs from the herb garden. Seagetaway Cottage has a single garage with automatic door and there is parking for two more cars in the driveway. Seagetaway Superior Two Room Apartment – The bright superior apartment sleeps 2 and offers panoramic sea views from both rooms which open on to an indigenous garden with a hammock and barbecue facilities. The living area has a comfortable sleeper couch and satellite TV. 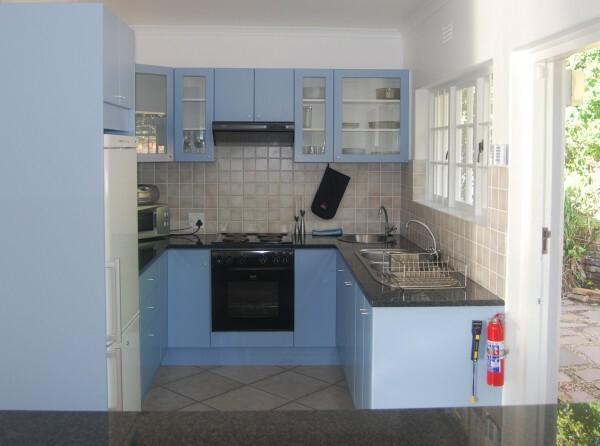 The living room has a modern fully equipped kitchenette with granite tops, two plate ceran stove, combination microwave, cooking utensils, crockery, cutlery and glasses. The bedroom has a queen sized bed fitted with percale linen and built in cupboards. The neat bathroom has a shower, toilet and basin. Guests can prepare their meals in the privacy of the kitchenette which includes a fridge, combination microwave and a stove. The paved area in front of the apartment features teak outdoor furniture and a Weber barbeque. The private indigenous landscaped garden attracts a variety of bird life. Guests are welcome to pick fresh herbs from the herb garden. There is parking for guests cars in the driveway. 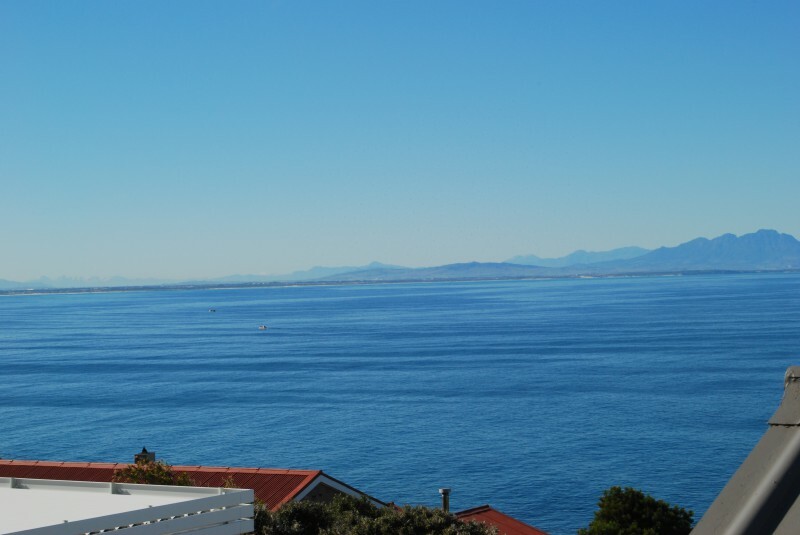 Budget One Room Apartment – The bright budget apartment sleeps 2 and has a sea view of False Bay. The apartment includes a kitchenette with small fridge, microwave, and a 2-ring stove. 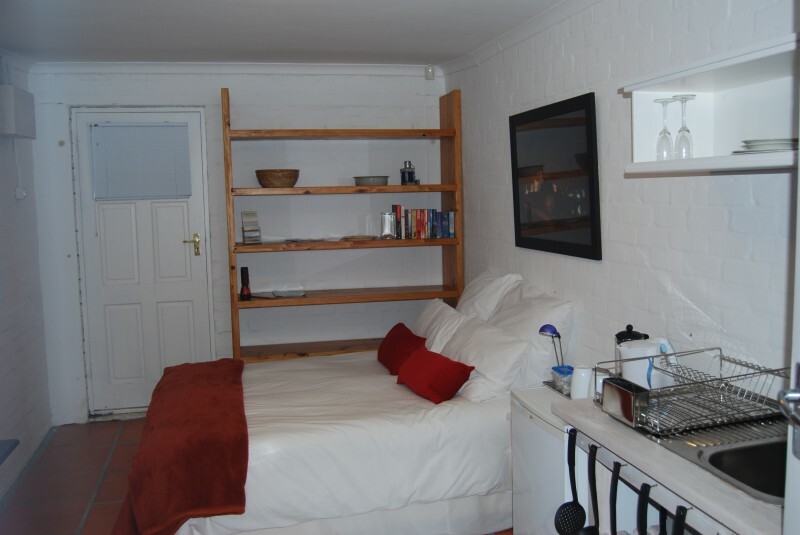 The apartment has a double bed fitted with percale linen and built in cupboards. The neat en-suite bathroom has a shower, toilet and basin. Please note this apartment does not have barbecue facilities or direct access to the garden. There is parking for guests cars in the driveway. 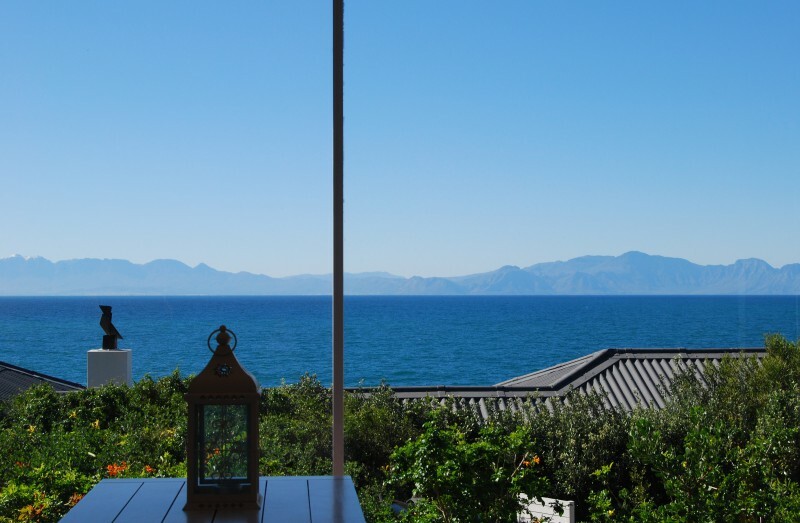 Seaside Two Room Apartment - The bright seaside apartment features spectacular views of Fisherman’s Beach. The living room has a kitchenette with a 2-ring stove with mini oven, microwave, cooking utensils, crockery, cutlery and glasses. The living room has two comfortable couches and a dining area there is a TV offering local channels. The bedroom apartment has a queen sized bed fitted with percale linen. The modern en-suite bathroom is equipped with a shower. There is a sheltered outdoor area with outdoor furniture and barbeque facilities. Guests can walk across the road and they will be on the beach. There is parking for guests cars in the driveway.